The western Azuero peninsula and nearby islands have been overlooked by birders for a long time. Somewhat strange, because the area is are home to over 250 species of birds. 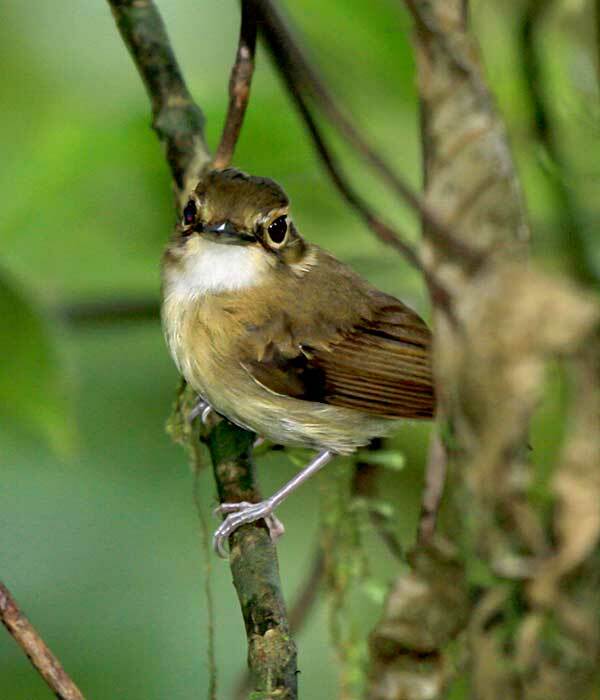 Among them are at least four endemic birds, two regional endemics and some rare species. 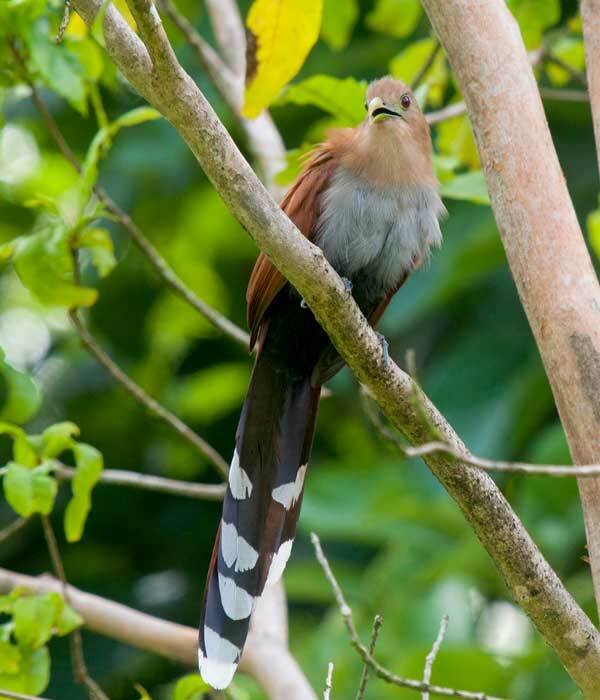 The four recognized endemic birds are the azuero parakeet (Pyrrhura eisenmanni), the brown-backed dove (Leptotila battyi), the Coiba spinetail (Cranioleucus dissita) and the veraguan mango (Anthracothorax veraguensis). 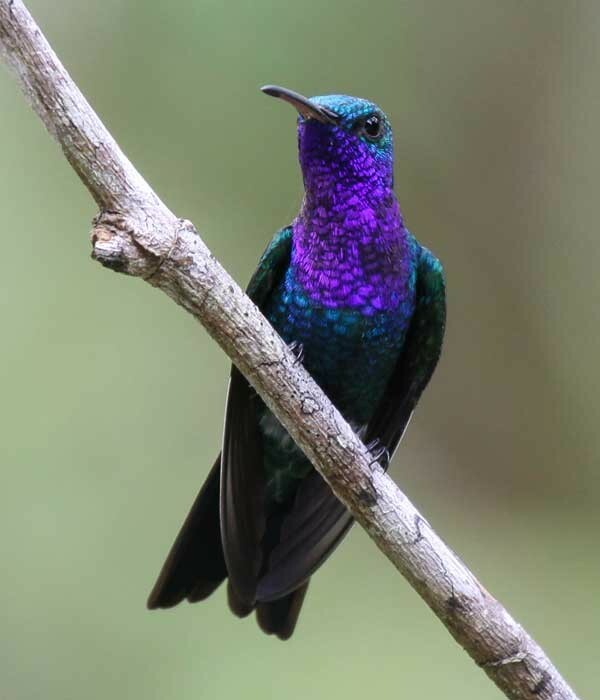 The azuero race of the purple-throated mountaingem (Lampornis calolaemus) might be recognized as a separate species in the near future, bringing the number of endemics to five. 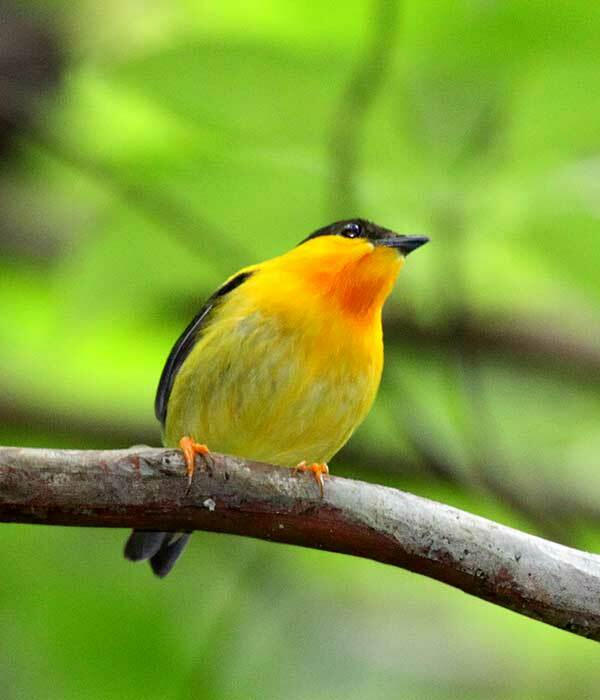 Regional endemics are the orange-throated manakin (Manacus aurantiacus) and black-hooded antshrike (Thamnophilus bridgesi), species that are restricted to pacific slope humid forests, one of the most threatened tropical ecosystems in Central America. Rare species present in the area include the great green macaw (Ara ambiguus), crested eagle (Morphnus guianensis) and black-and-white hawk eagle (Spizaetus melanoleucus). Tanager Ecotours know the best spots to see and enjoy the many birds in the area and where to look for the endemics you need for your life-list. And if you like to photograph the birds you see, or if nature photography is your main goal, we can adjust the tour to your needs. We give a few suggestions below, but feel free to contact us for a customized tour. 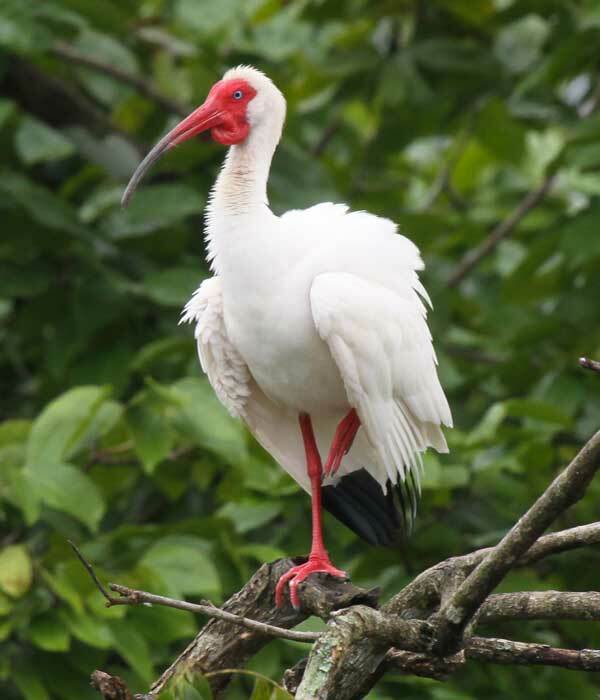 During an early morning stroll through our 8 hectare reforestation project, you can find as many as 30 bird species. Four species of hummingbird visit our feeders daily and another four species visit every once in a while. In total, some 150 species have been recorded on the property. Guests are free to wander around, a two hour guided tour costs $25 (up to six participants). 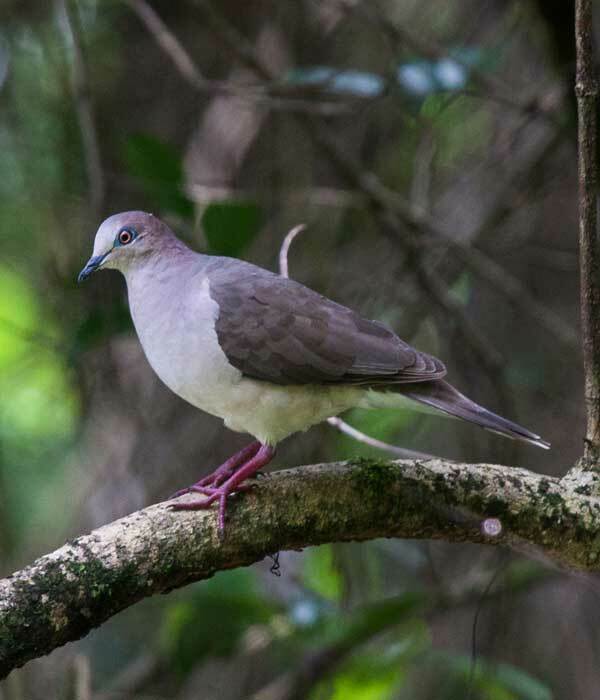 We can take you to Cerro Hoya to look for forest birds. This can be a relaxed day trip or a more strenuous climb to the cloud forest. 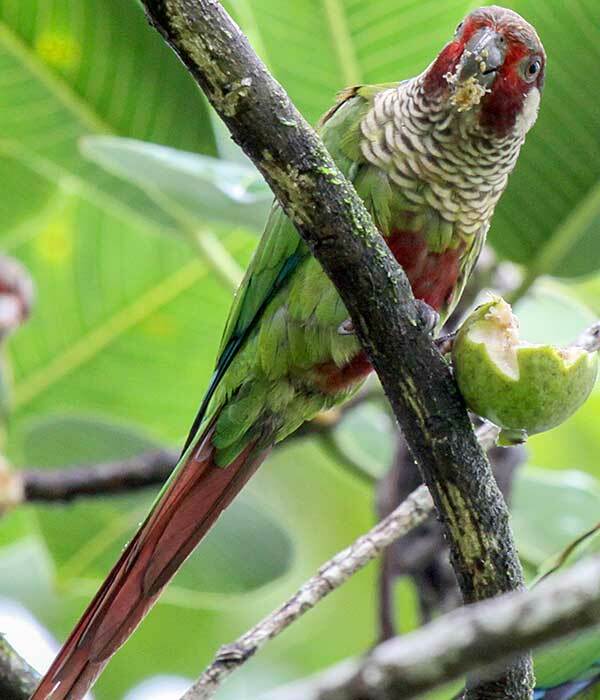 The azuero parakeet is best seen in June, when flocks come to feed on the fruiting nance trees. In May, three-wattled bellbirds (Procnia tricarunculata) are common at higher altitude: 800-1000 m). 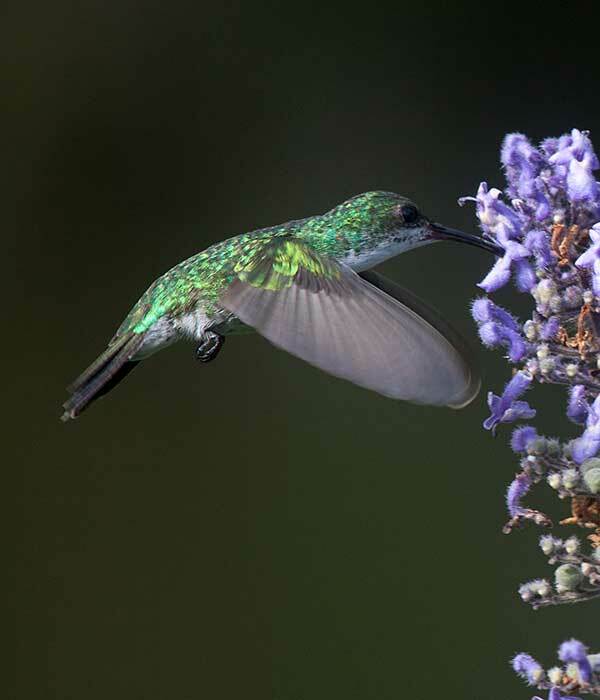 To find the purple-throated mountaingem, you will have to spend a night in the cloud forest zone. And there might still be some surprises up there. Even if we have not spent much time in the cloud forest. 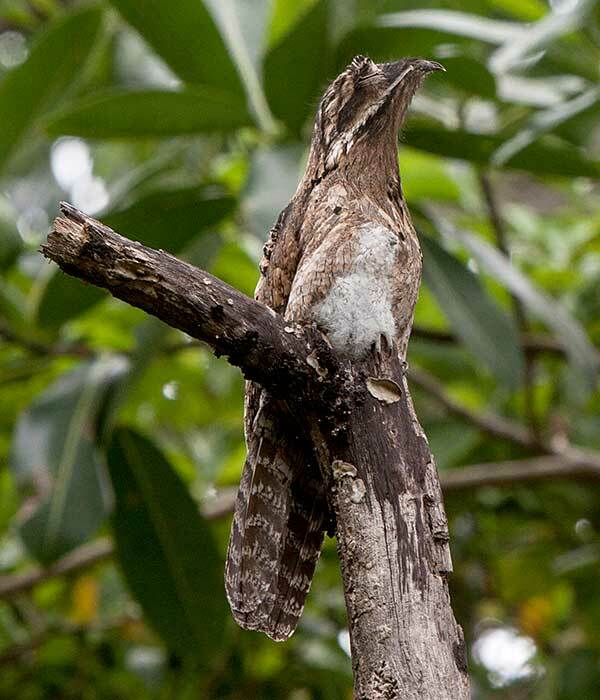 There are rumours that glow-throated hummingbirds (Selasphorus ardens) live in the upper reaches of the Cero Hoya and the black-cheeked warbler found up there sounds rather different from those in the western highlands of Panama. So contact us if you like adventure. Rates for Cerro Hoya tours. 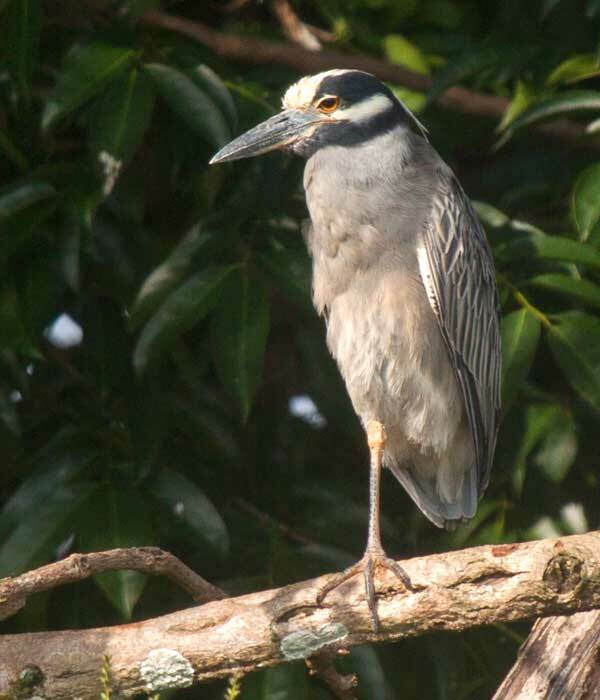 We have access to a wetland area on a private farm where boat-billed herons, yellow-crowned night herons and many more birds of open and wet areas can be found. The shores and the mangroves of the gulf of Montijo can be explored by boat. A boat trip in the gulf of Montijo is $75 per person with a minimum of two participants. 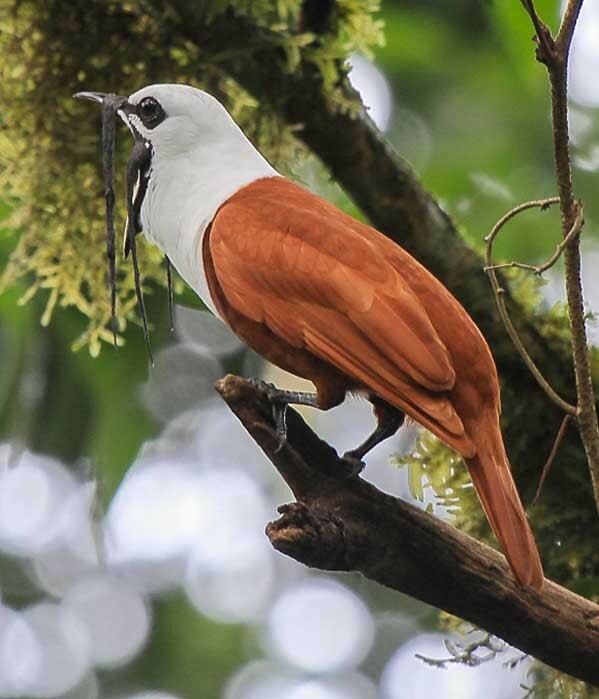 During our Coiba Island Tours from Western Azuero, we visit a few sites specifically to look for birds, especially the coiba spinetail, the brown-backed dove, scarlet macaws, brown and blue-footed boobies. 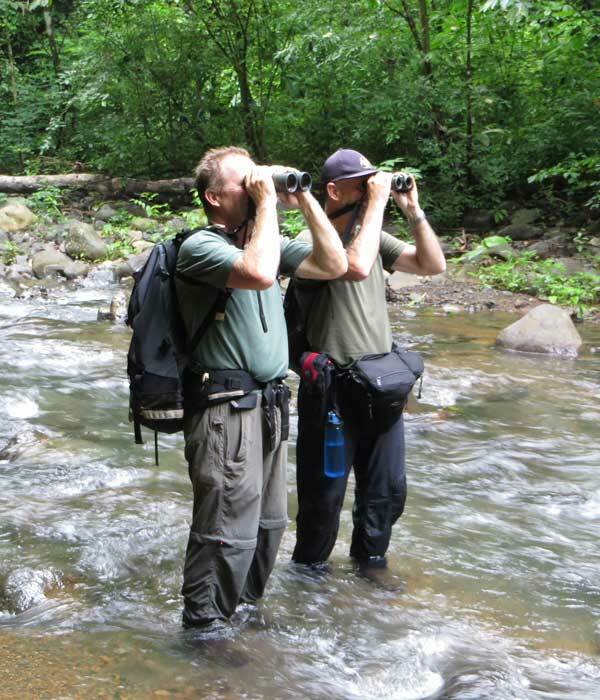 We can organize specific bird-watching trips to Coiba on request. Over the last few years we have seen some interesting species such as inca tern (Larosterna inca), nazca booby (Sula granti), red-billed tropic bird (Phaedon aethereus) and wandering tattler (Tringa incana). During the boat trip to Coiba, we regularly see white-rumped, black and least storm petrels (Oceanodroma tethys, O. melania and O. microsoma) as well as Galapagos shearwaters (Puffinus subalaris). 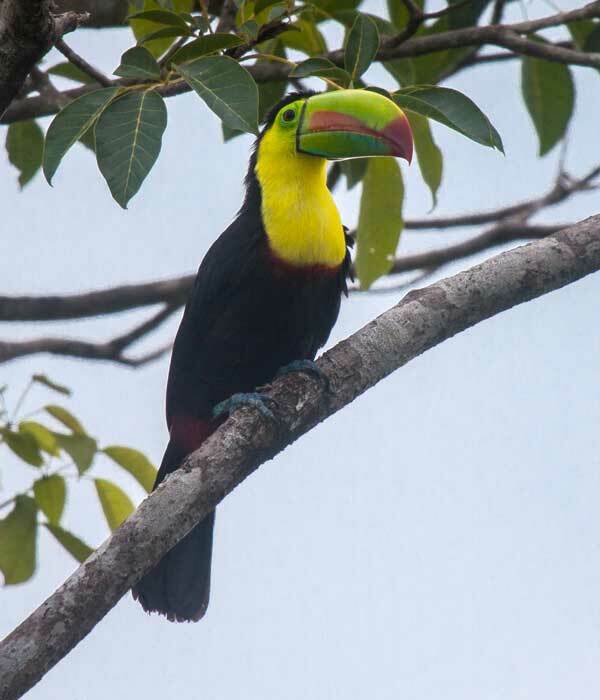 For rates, see our Coiba Island National Park Tours. The continental shelf is very narrow at the southern tip of the Azuero. At the narrowest point, the edge is less than 5 km from the shore. 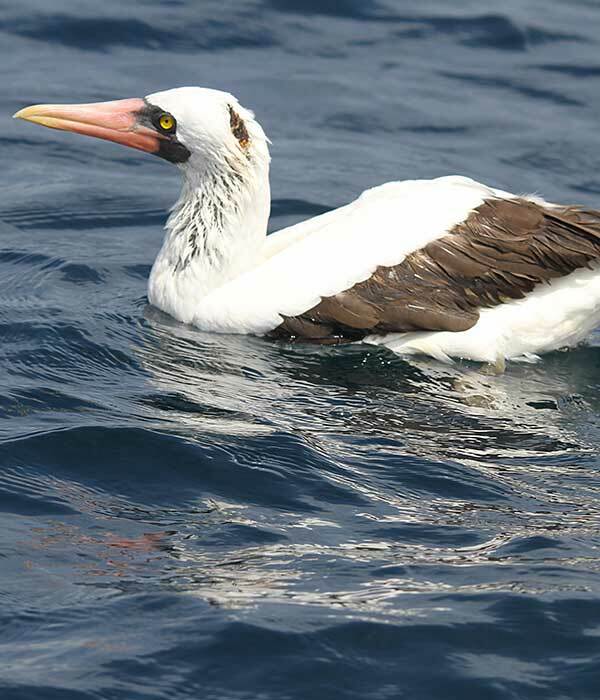 There are several under water canyons and sea mounts with upwellings where you have a chance to see Nazca booby, shearwaters and petrels. Our rates for the pelagic trip are $150 per person with a minimum of four participants.